Microplastics as a source of water pollution have gotten some attention in the past few years. Tiny pieces of plastics make it past water purification filters and into rivers and oceans. Microplastics are bad because fish and other aquatic animals eat them and they die or have health problems. The microplastics never dissolve and stay in the ocean forever. 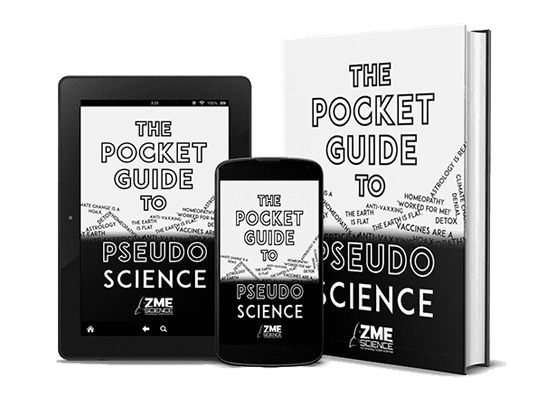 The most well-known example are microbeads, which are teeny plastic beads that companies put in face washes and toothpaste. Some countries have already banned these beads. However, they are not the only way that people can indirectly put microplastics in the water. Microfibers come off of synthetic clothing in the washing machine and get released with the water. Most of the microplastics harming fish in freshwater were actually microfibers and not microbeads, 95% of microplastics in the Ottawa River were fibers. Microfibers are much more prevalent in freshwater than microbeads. Image credits: M.Danny25. Yoga pants, anything made from fleece, athletic wear and synthetic materials release hundreds of thousands of microfibers everything you wash them in a washing machine. 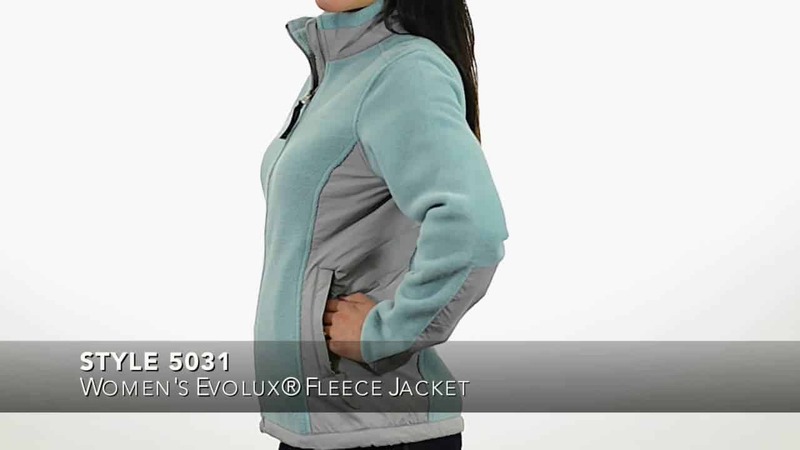 One fleece jacket can release up to 2 grams of microfibers per wash, or some 250,000 fibers! 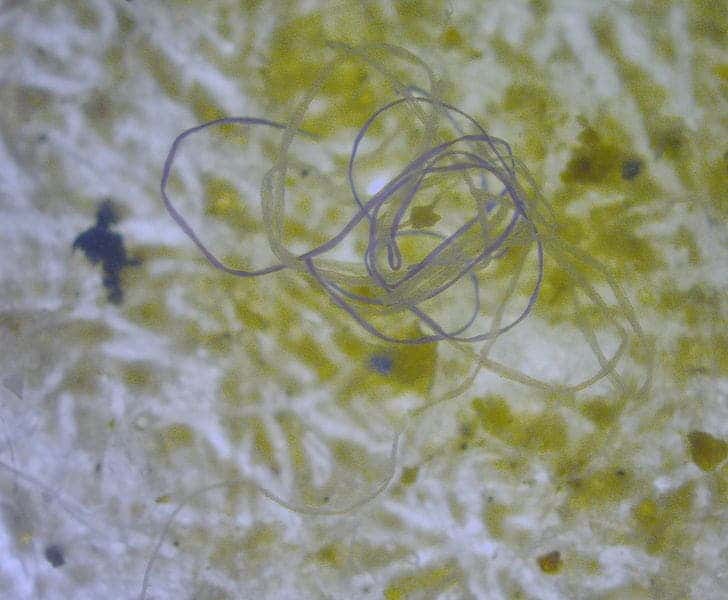 Some microfibers are removed by wastewater treatment. However, 40% of them get drained out into rivers and, eventually, the sea. Fleece jackets give off up to 250,000 fibers per wash. Image credits: Charles River Apparel. When fish eat the plastic fibers, the plastic fills their stomachs and gets stuck there. They feel full even though they just have plastic in their stomachs and eventually starve to death. Microplastic can also affect the fish at a cellular level, causing cell damage and inflammation. The fibers often bind to harmful chemical pollutants making them toxic. And people eat fish, so ultimately, the microfibers end up in us. A recent study estimated that Europeans eat up to 11,000 pieces of plastic a year. That is a scarily high number, especially when you think that no studies have looked at the effects of people eating microplastic. Some solutions are to wash synthetic materials less and buy fewer of them. The German sporting goods store Langbrett developed a bag to put synthetic materials in to prevent the fibers from coming off called the Guppy Friend, it catches 99% of fibers which can be disposed of in the trash. The startup called the Rozalia Project is also developing a device to catch microfibers. Ultimately, the clothing industry should respond by producing clothes that don’t shed so many fibers.